Of Red Bay, peacefully at Grey Bruce Health Services Wiarton on Wednesday, May 14, 2014. Constance Geraldine Adams (nee Voisin) at the age of 78 years. Loving wife and best friend to David for 56 years. Cherished mother of Douglas and his wife Tammy, of Paris, Danny, and Chris and his wife Erin, both of Brantford. Proud grandmother of Aaron, Amber, Crystal, Stephanie, Jill, Rachel, Caroline and Julia; and very proud great-grandmother of Nash. Devoted sister of Pat, of Alberta, Rosemary and her husband Danny McLean, of Sydney, NS, Nancy and her husband Randy Chard, of Cambridge, Franny and her husband Wayne Tones, of Smiths Falls, Larry Voisin, Mary-Lou and her husband Neil Evans, and Roberta and her husband Bill, all of Cambridge. Sadly missed by her many nieces and nephews. Predeceased by her parents Jerome and Elsie; father and mother-in-law Reginald and Edith Adams; sister Gwen Carey (2008); and sister-in-law Betty Mae (and late husband Bob Smith). 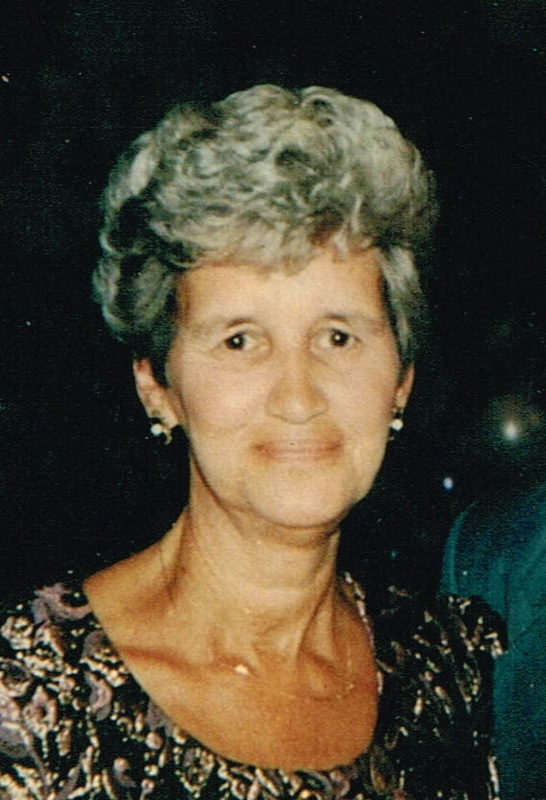 Connie was a Registered nurse, having graduated from St. Mary’s School of Nursing, Kitchener, in 1956. She spent most of her career nursing in the Brantford and Paris area, and many years as the Director of Care at Broadway Manor in Paris. A natural nurse, Connie had an inherent loving and caring nature, and many of her family and friends were the recipients of her kindness. She and Dave enjoyed a long and fruitful retirement in Red Bay where she pursued many of her favorite pastimes including knitting, walking her dog Panda, and in community service with the Women’s Institute of Mar. The family would also like to thank our special cousin and nephew, Dana Carey, and the many loving neighbors in Red Bay who blessed Connie and Dave with their friendship, their support, and their love. Thank you to Sally, Dave, Debbie, Marion, Gord, Ray, Wayne, and Pat...and several others who touched their lives and made it possible for Connie and Dave to remain in Red Bay as long as possible. Cremation has taken place. A celebration of Connie’s life will be announced at a later date. Donations to the Canadian Cancer Society or Heart and Stroke Foundation would be appreciated. Funeral arrangements completed from the Thomas C. Whitcroft Peninsula Chapel, 272 Berford St., Wiarton, (519) 534-5341.